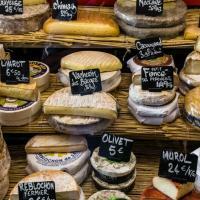 France is truly a nation of gourmands, and spending time enjoying good food is at the heart of French culture. 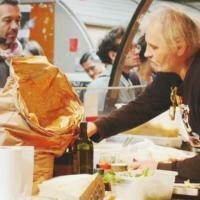 So discover the culinary traditions and gourmet delicacies that are an important (and delicious!) part of Parisian life as you wander through the charming Le Marais district with a local and immerse yourself in the city’s food culture. Like the Parisians do, take your time meandering through the streets to shop for ingredients at boulangeries, fromageries, patisseries and markets, sampling the delicacies at each and enjoy stopping at a classic creperie en route. Savour the tastes of Paris on this experience as you try the most traditional and gourmet treats and enjoy eating and drinking like a local! Sample classic delicacies like macarons, regional cheeses and cured meats as you visit different food shops and market stalls, or enjoy choosing gourmet products for your very own feast at the end of your experience. Stop for an authentic crepe or galette at a creperie, then continue on your culinary explorations, learning about French food culture from your local. Enjoy a glass of regional wine or a coffee at a classically Parisian pavement café, then wander around a market where the locals buy fresh produce and delicious cheeses, pâtés, olives and other delicacies, getting a true taste of local life. Our guide Myriam was lovely! Super friendly and with good taste. We enjoyed the tour and discovered a side of Paris we wouldn't get to know otherwise. Very recommended! My 12 year old daughter and I went on a restaurant tasting tour with Myriam and were absolutely blown away. The food was incredible, but what made the day great was Myriam herself. She is a soulful person who clearly understands and loves the city of Paris. She took the time to get connected to what we wanted to experience and led us to places that both surprised and delighted us. The restaurant selections she made were thoughtful, always delicious, and told a nice story of the city and its variety of tastes and cultures. My daughter now has a deeper love for Paris and we have a new family friend. We cannot recommend Myriam highly enough! 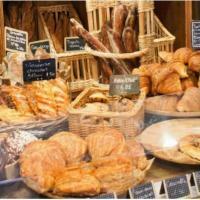 Amazing food tour of the Marrais in Paris!!! We had a great time! The walk, the foods, and the cultural immersion all amazing. Zoltan is one of the best tour guides we've had so far: very knowledgable and super nice. Highly recommend him and will definitely request him for our next group tour. Highly recommended! 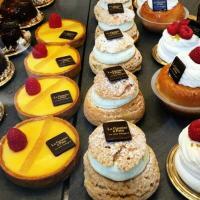 We spent a lovely morning with Marie in Paris for the Le Marais food tour! Marie carefully planned a lovely walk that allowed us to see key sites and enjoy amazing food along the way. Marie explained both the sites and foods along our journey. She paid special attention to my son’s food allergy and gave us tips for how to spend the rest of our afternoon (including recommendations for non tourist traps for dinner close to Eiffel Tower). I suggest you plan your tour around the lunch or dinner hours to get the best experience.